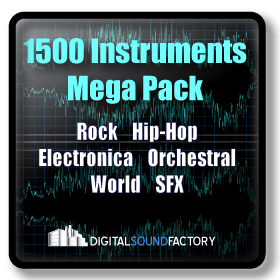 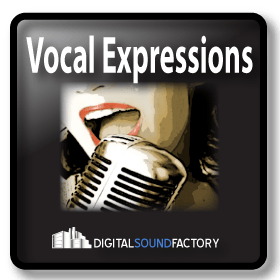 Digital Sound Factory Mega Pack is a fresh collection of Pop, Hip-Hop, Electronica, Orchestral, World , and Sound Effect sounds combined for easy access and quick creation. 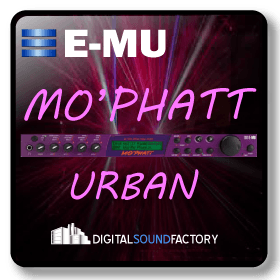 Originating from the legendary E-MU Systems Emulator sound library, this collection is a one of a kind. 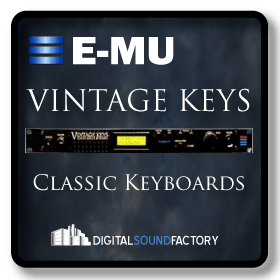 Each instrument includes the original sounds key mapped to work with any MIDI controller. 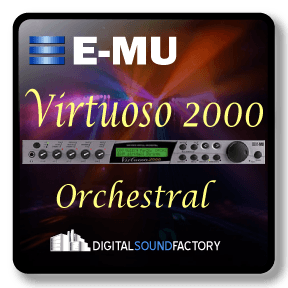 Packed with 1500 instruments, this economical solution gives the modern digital sound composer access to large quantities of sound content.